The main objectives of this project are improving children’s understanding of their rights when they are in contact with the justice system; providing them with all relevant information about criminal justice proceedings which involve them in a language adapted to their comprehension capacity; as well as promoting their participation in such proceedings. Accordingly, the project aims to contribute to the correct implementation of Directives 2012/13/EU (on the right of information in criminal proceedings), 2010/64/EU (on the right to interpretation and translation in criminal proceedings) and 2016/800/EU (on procedural safeguards for children suspected or accused in criminal proceedings). In order to achieve these objectives, children's knowledge of their rights during the judicial process will be assessed. This will be done by creating a questionnaire and later organizing discussion groups within detention centers for juvenile offenders. Also, three information brochures adapted for children will be created, with a presentation of their rights throughout their process, as well as relevant information on criminal procedures. The project is coordinated by Fundación Diagrama (Spain). 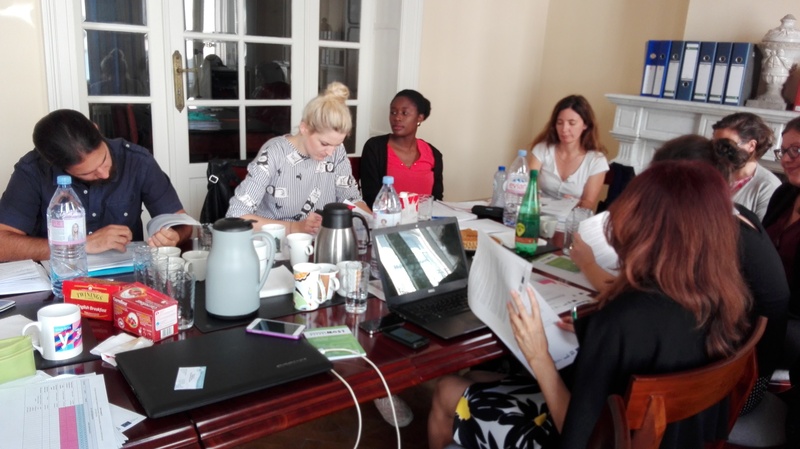 As one of the partners of the project, the International Juvenile Justice Observatory was responsible for hosting and organizing the first steering group meeting. The main role of the IJJO as project partner will be to offer technical assistance and expertise in the drafting of a European comparative analysis, based on the national reports that will be produced by the country partners. This analysis will provide an overview of the needs assessment’s findings, being the basis for the information brochures that will be created in the second phase of the project. The IJJO will then be involved in the dissemination of these findings and of the information material produced by the project. During the first meeting of the steering group, the project’s coordinator gave a presentation of the project by explaining its work plan, which is split into several work packages. Each work package was discussed with the participants, with a particular focus on work package 1 (assessment of the needs of minors in contact with law) and work package 3 (dissemination). Objectives, activities, outputs and dates of each work package were explained. Moreover, in order to accomplish the activities on time, the coordinator set up a few deadlines for the implementation of the work packages. The activities and objectives of Work package 1 were put forward by the coordinator, who gave an explanation of both focus groups and the questionnaires to be designed in the project. As initially established in the work plan, the following meeting is expected to take place in March 2018 in Italy.